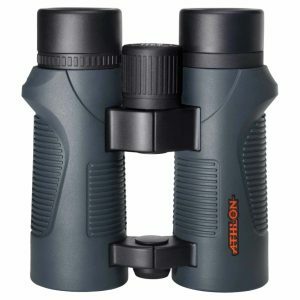 One of the best tools you can take with you on a hunting, hiking, birding, camping, or just general outdoor trip is a pair of binoculars. If you’re a beginner, expert, or somewhere in between, we’ve got the perfect optic for you. 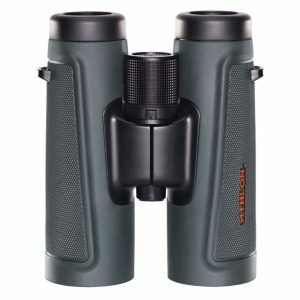 So if you’re looking for the most affordable and best binoculars to take along with you to a sporting event, on a boating trip, or just for general enjoyment, try our entry level binos – the Neos line. 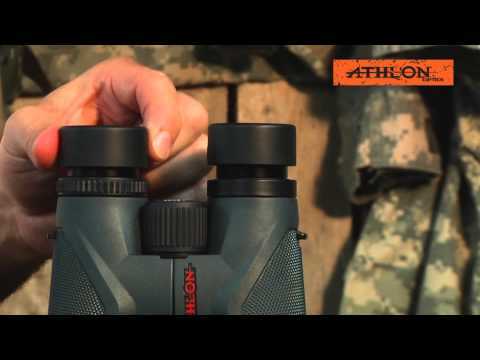 If you’re a seasoned professional or just want to try the top of the line binos, check out our Cronus line. 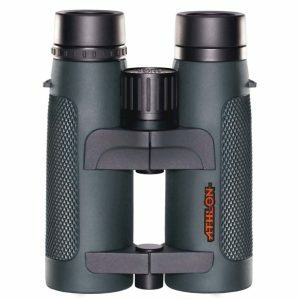 With features like composite chassis, multi-coated lenses, XPL protective coating, and 100% fog & water proofing, you’re sure to find a binocular in our range that fits your needs and budget. 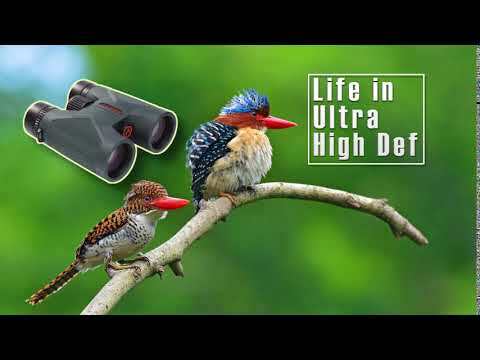 Our ranges of binoculars make sure that no matter which product you choose, you have a sharp and clear image. 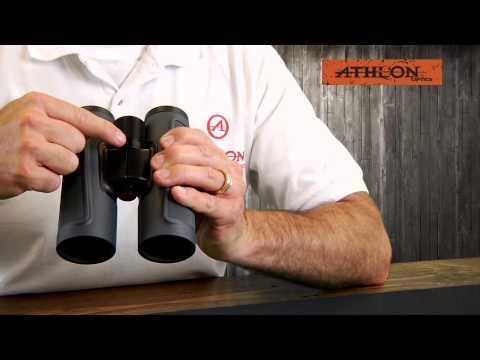 Need help finding the perfect binoculars for you? Contact us online or give us a call at 1-855-913-5678 and one of our experienced sport optics team members will be happy to help! 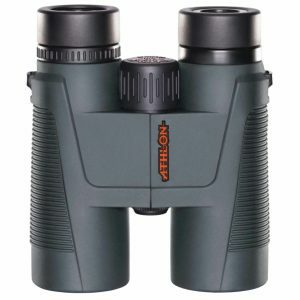 Just like its namesake, Cronus the King of all the Mythological Greek Titans, this is the top of the Athlon Optics lines of binoculars. Featuring: ED Lenses, Edge to Edge Sharpness System, ESP, XPL, Phase Coating, Magnesium Alloy Chassis, Advanced Fullymulti-coated Lenses, Locking Diopter. Midas was known to have a golden touch. He must have laid his hands on these binoculars since they set the gold standard for this class of binoculars. Featuring: ED Lenses, ESP Dielectric Coating, XPL Protective Coating, Phase Coating, Magnesium Alloy Chassis, Advanced Fullymulti-coated Lenses. 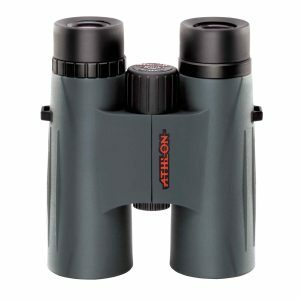 The Argos line of binoculars has an open-bridge style some hunters prefer for its secure ergonomic one-handed grip and comfort under any weather condition. Featuring: ESP Dielectric Coating, XPL Protective Coating, Phase Coating, Argon Purged, Composite Chassis, Advanced Fullymulti-coated Lenses. Whether you’re hunting, hiking, fishing or adding species to your life list. 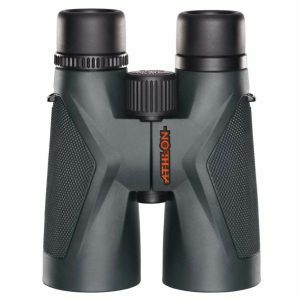 The Talos binoculars are built tough, with a rubber-armor housing. Featuring: Phase Coating, Bak4 Prism, Composite Chassis, Advanced Fullymulti-coated Lenses, Close Focus, Waterproof. The Neos binoculars are built tough, with a composite chassis that’s O-ring sealed and nitrogen purged for 100% waterproof/fog-proof so you are ready for potential elements you may encounter in foul weather. Featuring: Bak4 Prism, Composite Chassis, Multi-coated Lenses, Close Focus, Twist Up Eyecups, Waterproof.